THE Peninsula Waves’ under-19s history-making run has come to an end with a tough loss to DC North East Blaze in the Preliminary finals on Sunday 26 August. After claiming the minor semi-final over the reigning premiers, Geelong Cougars, on Wednesday 22 August, the Waves quickly backed up their performance to contest for the last remaining spot in the under-19s VNL grand final on the weekend. The Waves’ side, which is the first under-19s team to make it through to the finals series in the history of the club, put in a top performance against the Blaze but were unable to prevail over the 2017 grand finalists and were defeated by 23 goals (60-37). 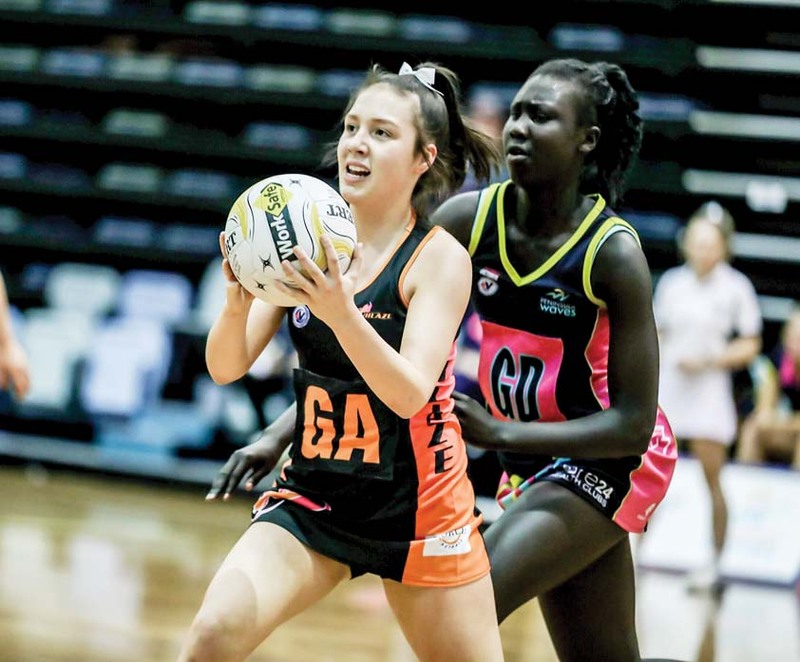 While star Waves’ shooters Abuk Kenyang and Georgia Hernan managed to shoot an impressive 37 goals under the pressure of the Blaze, the Peninsula team weren’t able to match the drive. The Blaze soared to an early nine goal lead in the first quarter, and while the Waves shot within four goals of their opponents in the second and third quarters, they were unable to recover. Changes in their player combinations allowed the Waves to adapt to the Blaze’s playing style and stay fresh, as Ashlee Barnett, Sarah Russell, Neomai Taufa and Sussu Liai rotated through the defensive goal circle, but the determined Blaze side were too strong in the end. Peninsula Waves championship coach Jess Whitfort said the club couldn’t be any happier with how the under-19s competed throughout the season. “We started with a pretty fresh team this season and we didn’t really know what to expect but they put in such a consistent effort throughout the season and we are absolutely thrilled with how well they went,” Whitfort said. The new Waves’ (teams) for next season is set to be announced in the coming weeks.